Duc Fransois de La Rochedfoucauld, aka Prince de Marcillac, was a writer of mildly cynical and somewhat pithy maxims. He was born in Paris in 1613, hung around the royal court and spent most of his time making snippy comments about what he saw as the disturbing state of human affairs. Considered an intellectual harbinger of the Enlightenment – I imagine him as a 17th century Dennis Miller with an over-the-top, hoity-toity name. Much more uppity and not as funny as Dennis, but concise, satirical and witty nonetheless. While I don’t always eat intelligently, I like this general maxim. It’s a good reminder and is there a better way to eat intelligently than to choose nutrient-dense, vibrant, unprocessed, living plants? Like the ones featured above. Look at the colors. You can literally see the phytonutrients, enzymes, vitamins, minerals and chlorophyll. Okay, maybe seeing vitamins and enzymes is a stretch, but you can guess by looking at these greens that they’re full of nourishing goodness. Plus, they’re low in calories and alkalizing to the body. This is perfect food. Now compare that to a donut or a plastic-wrapped sweet-roll from a gas station vending machine. Which one is the artfully intelligent choice? This photo is of the 3 cups of mixed greens I used to make power smoothies this morning, wonder woman and super man food. It’s a smart way to start the day, even if it doesn’t match up with the new USDA MyPlate thing the government designed to help us figure out how to feed ourselves? We’ve “evolved” to the point that we need a plate icon with food on it to show us what to eat? I’ll bite my tongue, keep my snippy, food irony comments to myself and offer you a power greens guide to ease your transition into the world of nutrient-dense green food. This is the abridged version. If I included every green I could think of and all the nutrient goodness, this post would be a mile long. What’s your favorite power green and how do you like to serve it? Add it to the list in the comment section. Chard has a slightly bitter taste, so when I use it raw in smoothies I add something sweet like a Fuji apple to counterbalance the bitterness. It also has a very salty taste to me when pulverized in my VitaMix, so I like cinnamon mixed in. One cup of chard is off-the-charts high in vitamin K, A and C, along with a host of other botanical wonders. All for a measly 35 calories. Spinach is mild, slightly bitter and versatile. It’s a good power green to add to kid-friendly smoothies as it’s fairly easy to hide if you add a pear or ripe banana and a little goat yogurt into the mix. Speaking of vitamins K and A, one cup of spinach has 1110% (K) and 377% (A) of the recommended daily values. Add in the high concentration of folate, iron, vitamin C, potassium, etc. and there’s a lot of bang for your 41-calorie-buck in a cup of spinach. Kale is a little confusing. It has a mildly bitter taste, but it can also taste slightly sweet. It’s hearty (and hardy) and full of volume, if that makes sense. The power green nutrition profiles just keep getting better. One 36-calorie cup of kale gives you almost 200% of the daily value of vitamin A, close to 100% of vitamin C and a whopping 1328% of vitamin K. It even contains a jolt of omega 3 fatty acids. Swiss chard tastes salty and mustard greens have a strong, peppery taste. If you use these in a smoothie, mix a small amount in with some lighter greens like romaine lettuce or spinach. Warning: don’t use raw arugula and mustard greens together! Whoa, that makes for an intense smoothie with a peppery kick. You get the idea on the nutrition part. 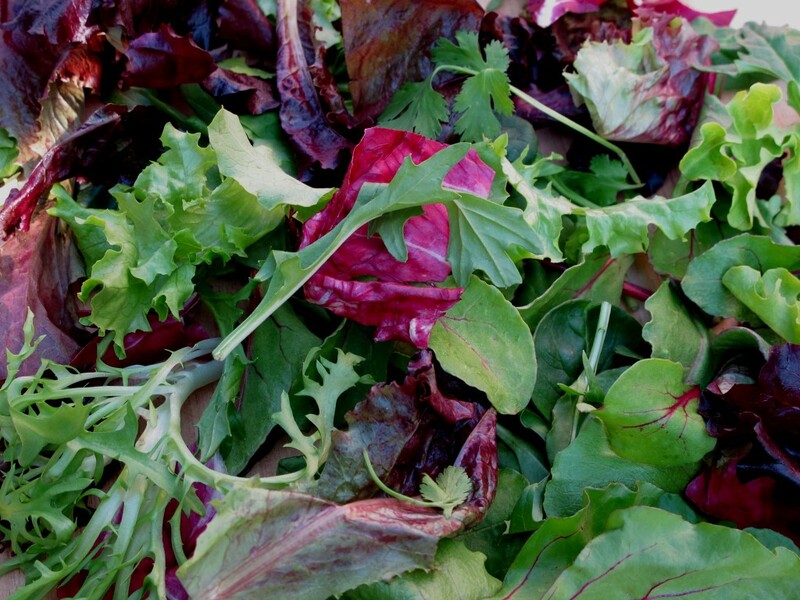 Most leafy greens are ridiculously high in all kinds of powerful nutrients and mustard greens are no exception. I’ll admit, not my favorite. Especially raw, turnip greens have a intense and bitter taste. They’re very high in plant-based calcium, which may account for the bitter bite. Only 26 calories per cup, they’re worth adding to your arsenal of power greens, but go easy on them and mix them in with some milder vegetables and sweeter fruits to mask the bitterness. Turnip greens are great sautéed lightly in a little broth. Aside from the “rubber glove” texture of collard greens, I like these greens for their mild and somewhat smoky flavor. They’re absolutely wonderful blanched quickly, cooled, dried and used as a wrap for chicken salad. You can also add some chopped collard greens to smoothies, but do it in small doses to see how you like them. Mild, crisp and somewhat sweet. I love Romaine. This is a perfect “beginner” green and blends in well with other veggies and fruit for a nice mellow smoothie. It’s perfect raw, but I’ve also lightly sautéed lettuce before and it tastes great. Romaine is the low calorie winner at 15 calories for 2 cups and while it’s not the power-house that kale or Swiss chard is, it’s a rich source of plant nutrients. Arugula, also called rocket or Italian cress, is a touch spicy with a hint of mustard. It’s best mixed in with some milder greens for a salad as it tastes bitter by itself. It can also be used in small doses in smoothies and is wonderful sautéed or thrown into a soup at the last minute. I like it on pizza with olives and sliced tomatoes. Like the rest of these greens, arugula is very low in calories, high in antioxidants, is low glycemic, anti-inflammatory and even has a little protein, calcium and iron. Frisée is that curly, lighter green lettuce that is often added to mixed salad greens. It’s not as hardy as kale, spinach and the other more intense greens. It will even wilt if you put vinegar on it, so wait until the last minute to dress your salads if frisée is part of the mix. It has a mild, very slight peppery taste with a nutty hint to it. It pairs well with bananas and berries in a smoothie (I’m sounding like a leaf sommelier). For a delicious summer salad, try a bed of frisée topped with roasted and sliced beets, pecans, crumbled goat cheese and a drizzle of vinaigrette. Divine. Here’s a great resource for greens and herbs, complete with pictures so you’ll know which green is which. Peace, love and power greens!